The BBC has announced the realised of a short film called The Night Of The Doctor, a teaser for the famous series 50th anniversary being celebrated this month. The seven minutes surprise episode can be watched online and is set to build up suspense for the anniversary special The Day Of The Doctor, an extra-long 75 minutes episode. 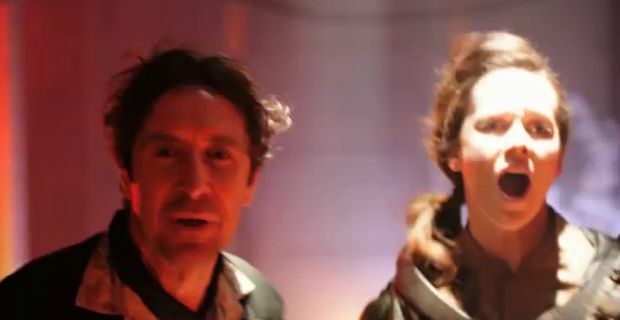 In the mini-episode synopsis, we are warned that "The darkest of days are about to begin”: "On the eve of his most terrible battle, the Time Lord is faced with a choice that will change the course of his life"
The eagerly-anticipated anniversary special The Day Of The Doctor will be shown November 23 in 3D in more than 200 cinemas across the UK, Canada, Russia and Germany, at the same time as being aired on BBC One. Popular former Timelord David Tennant will star in it, as well as Billie Piper, John Hurt and the show's current stars Matt Smith and Jenna-Louise Coleman. Both the mini-episode released online and the anniversary special are part of a broader rande of celebratory events organized by the BBC for the 50th birthday of its glorious show. Special programmes include a BBC Two lecture by Dr Brian Cox , based on the science behind the Doctor Who series. Also, a special episode of The Culture Show themed on the popular series, a BBC Two drama co-written by actor Mark Gatiss about the very beginning of the Doctor Who in the early 60s , titled An Adventure In Space And Time, and a restored version of An Unearthly Child, Doctor Who's first episode from 1963 that will be aired on BBC four.